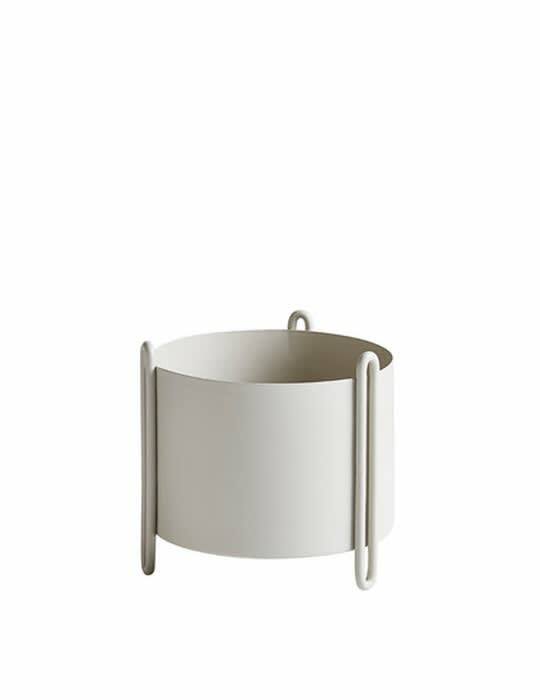 The Woud Pidestall flowerpot small grey. This small plant pot on 3 legs (or is the flowerpot) has a grey powder coating layer and can therefore be used inside as well as outside. It is also available in red and blue and larger versions.